If President Trump’s recent tweets are any indication, former Federal Bureau of Investigation (FBI) director James Comey isn’t going to be let off the hook for obstructing justice in his handling of the Hillary Clinton email scandal. And more than likely neither will Hillary Clinton herself, as it has now been revealed that the National Security Agency (NSA) has in its possession all 33,000 of Clinton’s “lost” emails, which are just waiting to be exposed. The spy agency had reportedly attempted to hand these emails over to Comey many months back as part of his so-called investigation into the critical matter. But Comey outright rejected them before proceeding to deny a recommendation that Clinton be prosecuted for her alleged crimes – a move that, in and of itself, has become a scandal all on its own. At almost every turn, Comey made sure to avoid implicating Clinton in any wrongdoing. Not only did he reject the emails from the NSA, but he also outright skirted a proper investigation into Clinton’s situation when he was caught writing up a decision not to refer her for prosecution before interviewing several key witnesses. Multiple reports issued by the Senate Judiciary Committee in recent weeks reveal that Comey failed to conduct a proper investigation, even after being offered evidence. He also lied when he claimed that the FBI had unanimously decided not to pursue Clinton’s prosecution. President Trump decided to chime in on the matter in early September, once again condemning Comey for his blatant obstruction of justice. Some had suspected that perhaps the administration might let Comey off the hook, but now that the fake Trump-Russia probe has all but completely lost steam, the President seems to be indicating that justice has yet to be served. “Wow, looks like James Comey exonerated Hillary Clinton long before the investigation was over…and so much more. A rigged system!” Trump tweeted at 7:56 a.m. on September 1. Sanders was referring here to Comey’s admission back in June during a congressional hearing that he authorized a memo about his conversations with the President to be leaked to The New York Times. 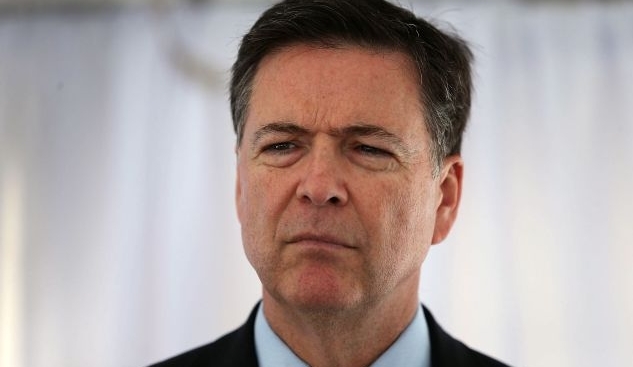 This act in and of itself is questionable in terms of its legality, not to mention Comey’s other actions that suggest he’s more concerned with protecting Hillary Clinton and harming President Trump than seeking any sort of justice. It’s now up to Attorney General Jeff Sessions to either take up the matter or face potential removal from his post, as was suggested back in July. Since becoming AG, Sessions has repeatedly commented about his personal hatred of cannabis, but has done little to address the glaring crimes of the previous administration.